Want to dig a little deeper into the exhibition? Bring your bag lunch and make your way to the gallery for a guided tour! 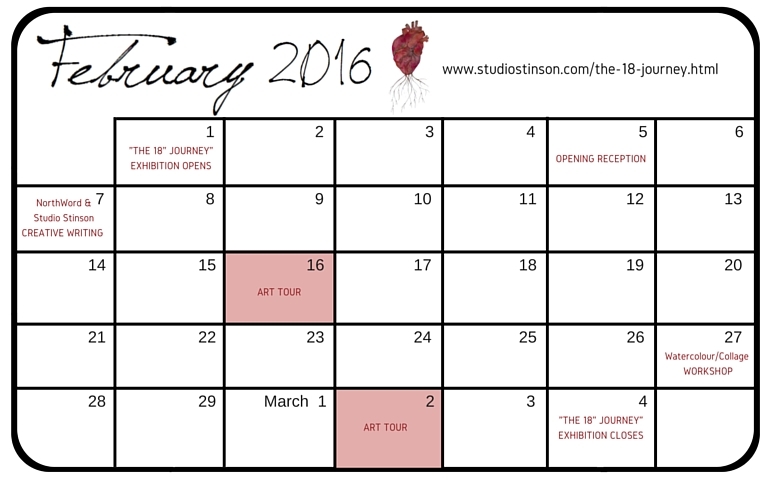 Join me Tuesday, February 16 and Wednesday, March 2nd for our lunchtime walk through the gallery.